In a sauce pan heat olive oil and cook onion until soft but not browned. Add all ingredients and cook for 5 minutes until thickened. Use right away or store in jar glass for a few weeks. Marinate chicken pieces in refrigerator for at least 1 hour. Place on BBQ for 30-45 minutes over medium heat or bake on baking paper lined baking pan at 180 °C for 30-45 minutes turning chicken parts every 15 minutes. 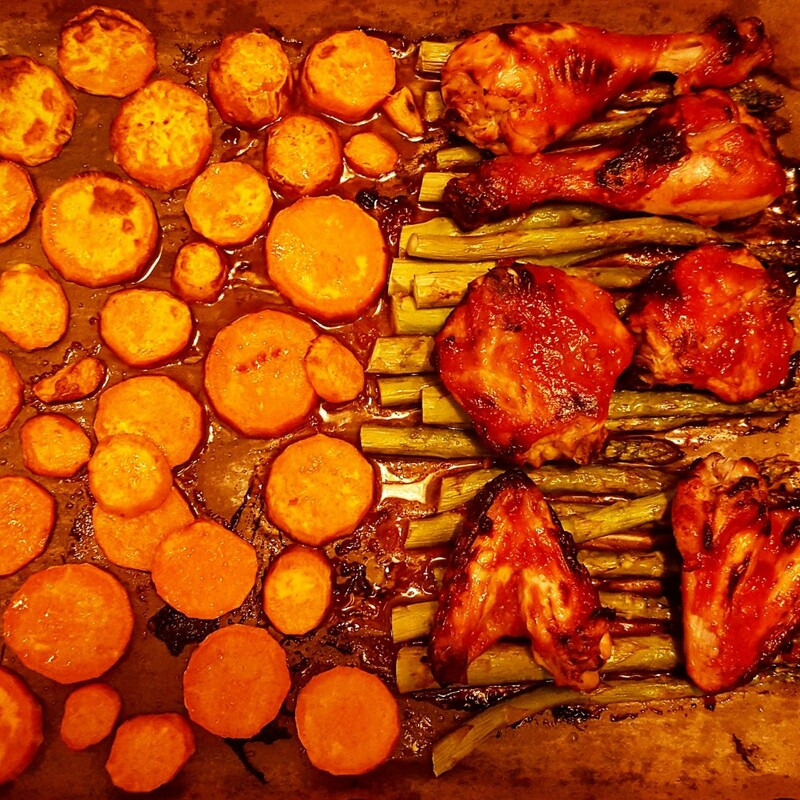 Serve on sweet potatoes and asparagus which you add to the oven 20 minutes before the end. This entry was posted in Main dishes, Side dishes, Yummy for my tummy and tagged main dish, meat lovers.